At the entrance hall of the Royal Golden Tower we make sure you already feel that you are special. There is valet parking and a skillful team ready to assist you. With automated systems we guarantee a quick check-in and check-out. 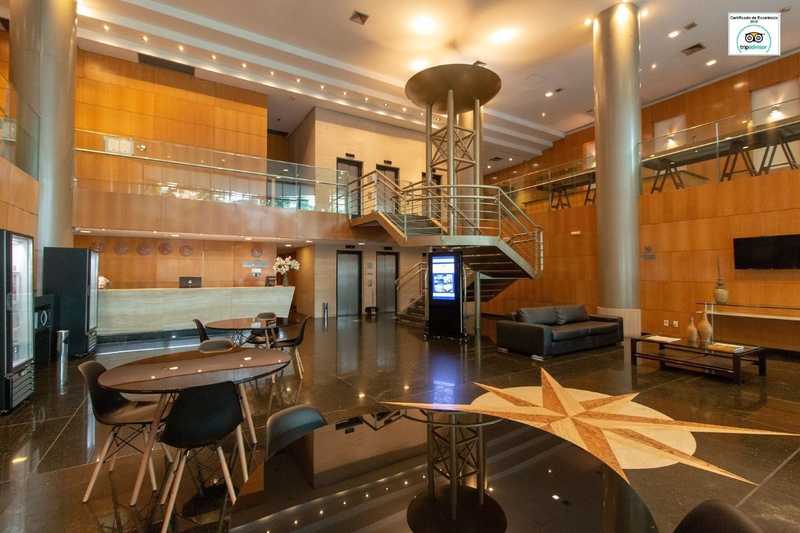 Royal Golden Tower's cozy atmosphere and the exclusive designed furniture that decorates the entrance hall shows you the very special guest you are.We are located close to commercial centers, theaters, restaurants, bars and leisure sites in Belo Horizonte. 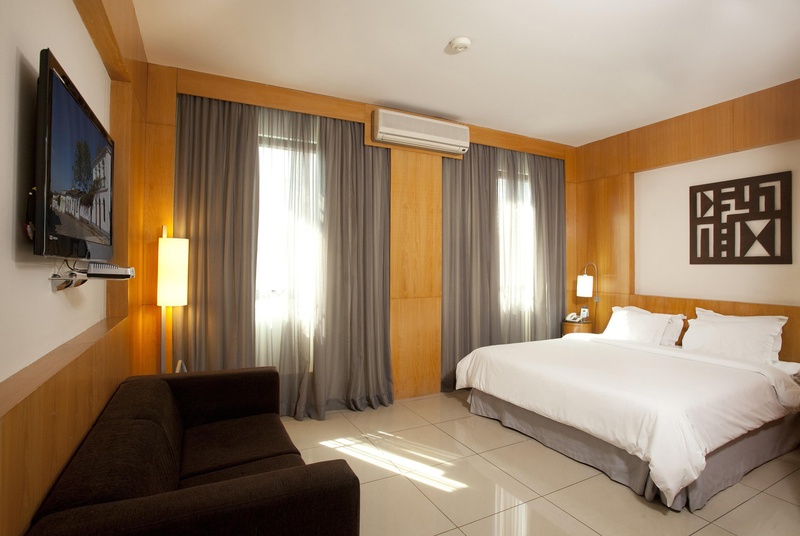 The hotel is in the center of everything, and is easily accessible to the main highways and airports.The priority in the apartment is to be functional and comfortable. You will find space to work and relax, where everything was carefully thought to offer you a cozy environment and the privacy you need. 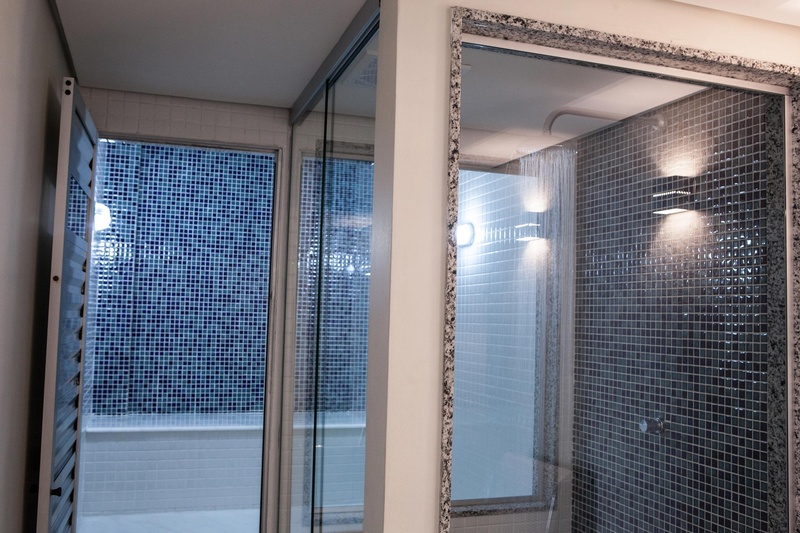 All these put together with technology and comfort; such as telephones with voice mail, internet access, king size beds, silent air conditioning, individual safes and cable TV. Besides the high quality window glasses that guarantee thermal and acoustic balance.We feel working and socializing complete each other. 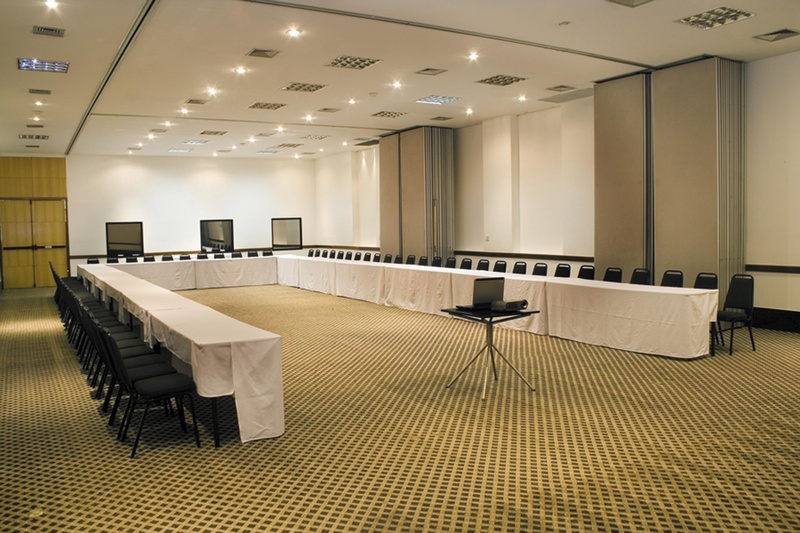 Royal Golden Tower has made available to its corporate clients a modern convention center, with three adaptable meeting rooms for courses, lectures, seminars and cocktail parties with different number of participants, having a maximum capacity of 300 people in theater style, besides supporting room and foyer for coffee breaks. We also have a qualified group of professionals to give the best support to events.Leisure and relaxing moments are extremely important for a healthy life. 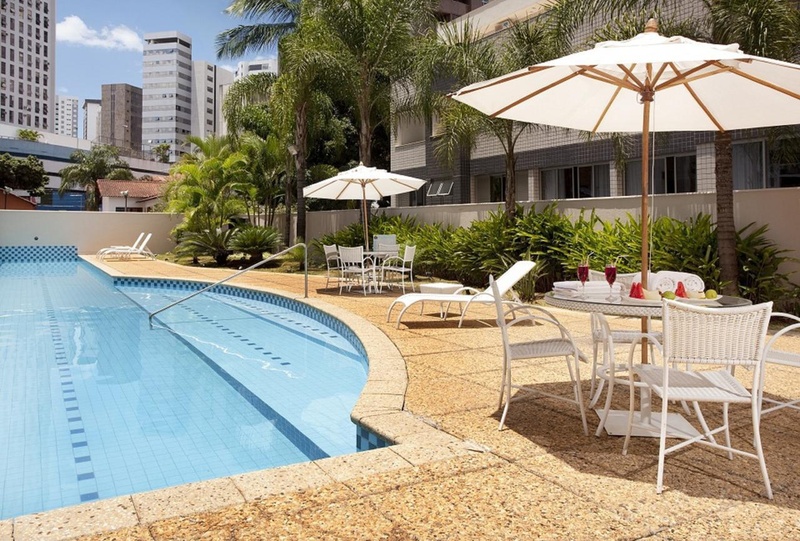 Royal Golden Tower reserves for you an area with our semi-Olympic pool, fitness center, sauna and resting room. You decide the best way to begin or end your day.While working or enjoying your stay, you may savor the delicious drinks prepared by our barman with special care; or if you rather, enjoy a delicious meal at our exclusive Panoramic Restaurant. 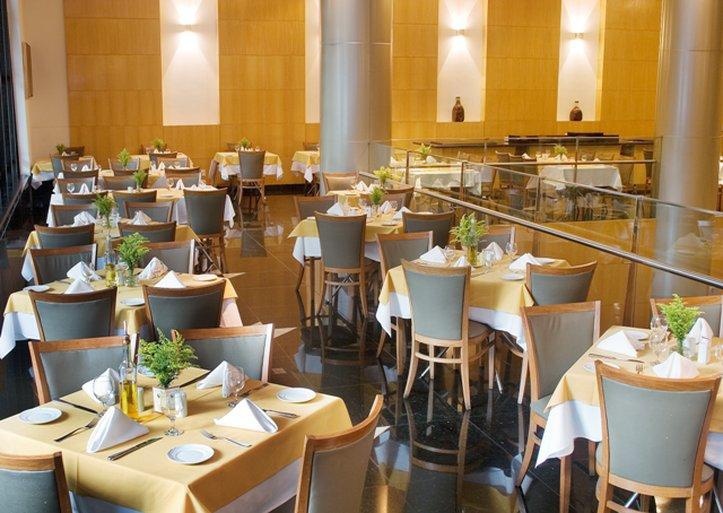 The Royal Gourmet Restaurant is distinguished by the variety, quality and sophistication of its menu. For self service or a la carte meals, you will find the charm of international cuisine in perfect harmony with the tradition of Mineiro food. And for dessert, besides variety, the wonderful desserts of Minas Gerais can be savored daily. Excellent hotel. Close to restaurants and bars with nearby parking areas. Great room. Best location. Great location. Nice location. Quiet rooms. Big rooms. Comfortable room. Great staff. Easy check-in process. Hard pillows. Quiet rooms. Bathroom too small.